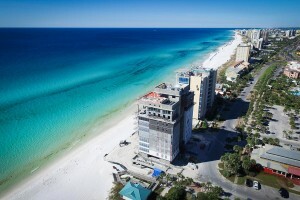 1900 Ninety Eight is Destin, Florida’s first Gulf front condominium developed since 2007. 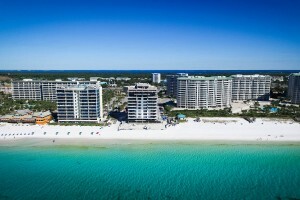 Each exquisitely designed luxury residence features a panoramic view of the Gulf of Mexico from its private, 12-foot deep balcony. The most recent updates have us so much closer to completion. 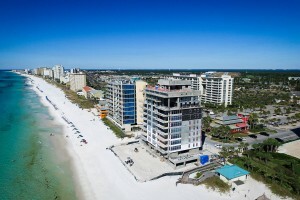 There are only four listings still available for purchase at 1900 Ninety Eight, including #302, #702, #802 and #902. Most recently, #402, #502 and #1002 went under contract. The exciting news is that the model unit should be completely finished out and ready for previewing sometime in the middle of November. Stay tuned for updates so you can come have a look! Since our last update, great progress to both the interior and exterior has been made. Inside, the tile floors have been installed, the interior cabinets have arrived for the first three floors and are being installed, and the interior walls are framed and sheet rocked. 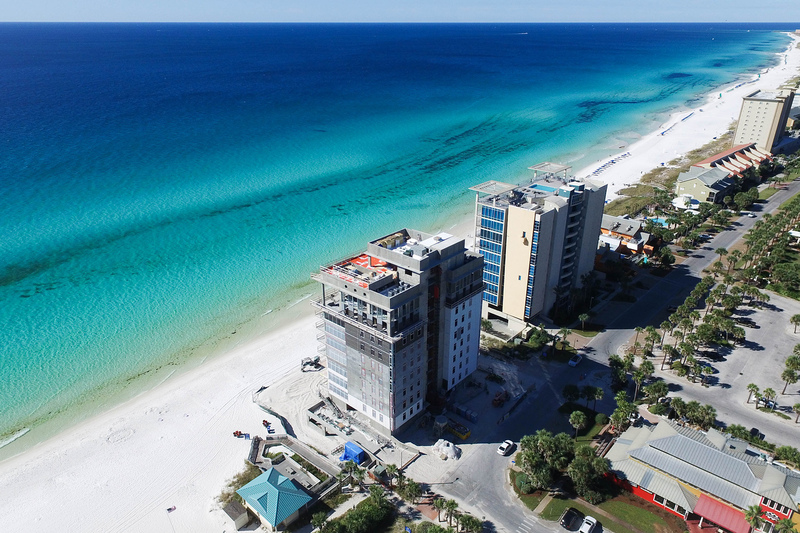 As for the exterior, the top floor pool deck and fitness center, sure the most posh spot in Destin when finished, are taking shape. On the outside, the smooth coat stucco application is coming along nicely and looks to be near completion. Each residence will have an open plan with clean, flowing lines will allow beams of natural light inside through an expansive wall of windows. Interior design elements that include custom cabinetry, quartz countertops, Thermador kitchen appliances and porcelain stone floor tile make these residences truly incredible. Amenities include a rooftop pool, spa, fire pit and state of the art fitness center, along with gated entry, heated and cooled elevator and lobby areas and two levels of parking beneath the residences. We can’t wait to share this one with you.